Every blogger and online entrepreneur needs an email list. So why is it one of the things a lot of online businesses and bloggers neglect? 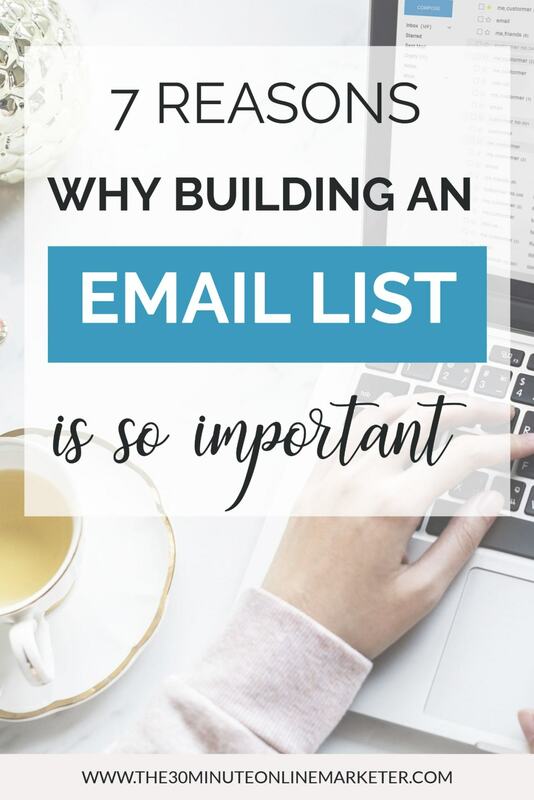 If you are a new blogger and are focusing on creating content and driving traffic but haven't yet started building your email list, you are missing out. Keep reading to find out 7 reasons why you should be investing in your email list. 1. Having an email list helps you build a relationship with your readers. They've already trusted you with their email address. And by landing on their email inbox every week or two weeks you have a great chance to increase this trust. Your emails shouldn't just be about your business but you should put a little bit of yourself in them too. So people get to know you. Some of the emails I ALWAYS open are from people that not only give me information and great tips, but people that show their personality. It feels like this person is really talking to you and not to a whole list of people. Know what I mean? One of the things people don't realise nowadays is that most website visitors come to your website, read one blog post or a page and leave. There are some things you can do to keep them on your website a bit longer and you can find some tips to do just that in this a great article by Elna Cain from Twins Mommy. But you can only keep people reading your articles for so long. So you need a way to let them know about your new articles, your new products or offers and keep sending them back to your website. And the best way to do it is by getting straight into their inbox regularly. By emailing them they get to hear your news, visit your website and they also help you by sharing your content on social media. So more people get to visit your site. Did you know that email marketing has one of highest returns of investment (ROI)? According to this article, for every $1 you spend on it, you get $38 back. Yes, you can get a pretty good ROI if you do social media ads. But learning how they work and the money you'll have to spend while you learn how to optimise them is money down the drain in most cases. Plus it can get very competitive during some seasons. With email marketing, however, you can start making money even with a small list. You can even start making money without you having any products yourself, because you can promote your affiliate products to your list. Let's say you have a brand new product and you are selling it for $20. If you have a list of 200. If 1% of people buy this, you can make $40. And what if it's 2% or 3% or 10%? Look at the table. You can make money with a small list, but not a lot. It's the size of your list that makes the biggest difference to the amount of money you make. Also, if you think about it, the amount of work you put into selling 2 items is the same as selling 200 or 10000. So your effort gets a much higher reward. 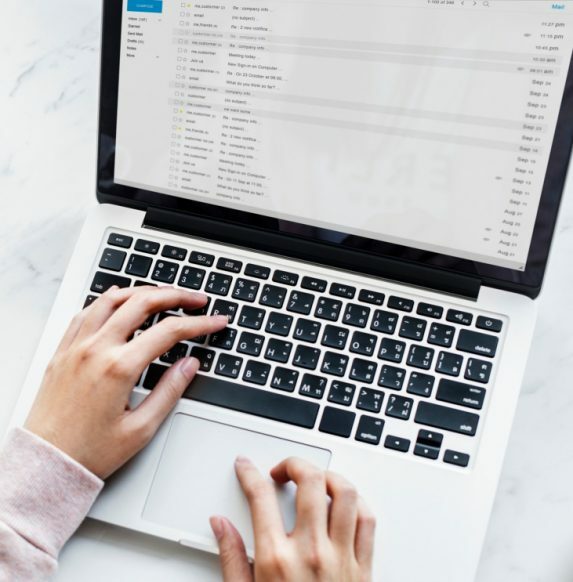 You can also check out this Email Marketing ROI Calculator here if you're interested in seeing what your Email Marketing ROI could be. The same way a dentist sells her practice and her patients are included, your list is part of your business. I mean, even my Pilates instructor has an email list so she can get in touch with people and remind them it's time to book another lot of classes again, let them know of any changes in schedules, new classes, etc. So why shouldn't you have one? If you have a blog, your page views are important, of course. 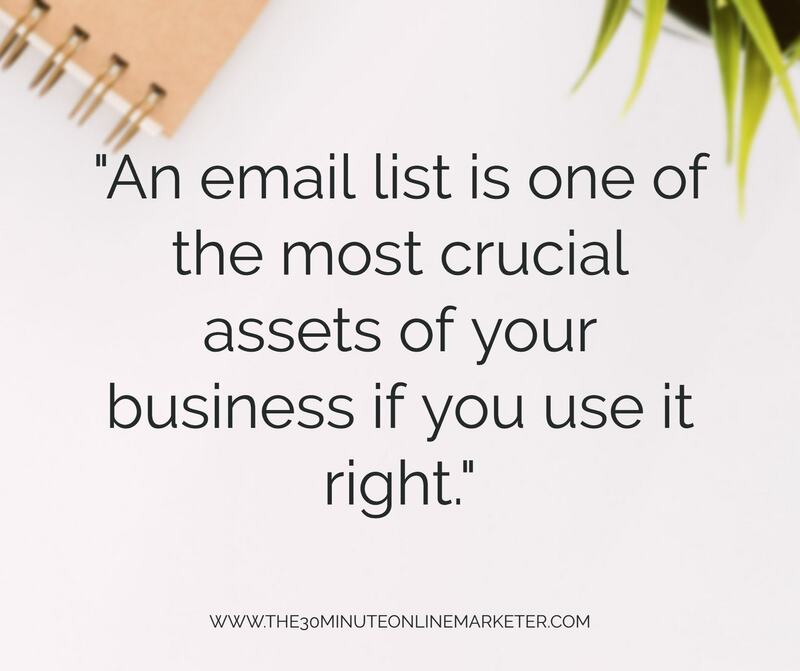 But the size of your email list is also one of your greatest assets. If you want to collaborate with a brand and do sponsored posts, or apply for affiliate programs, they don't just ask you how many page views your website gets, or how many social media followers you have, they'll also ask you how big your list is. You own your email list, nobody else does. You can reach your people's inbox with most emails. Tip: Some emails might get lost, so always resend emails to those people that did not open them. You can get up to an extra 15% people reading your emails. 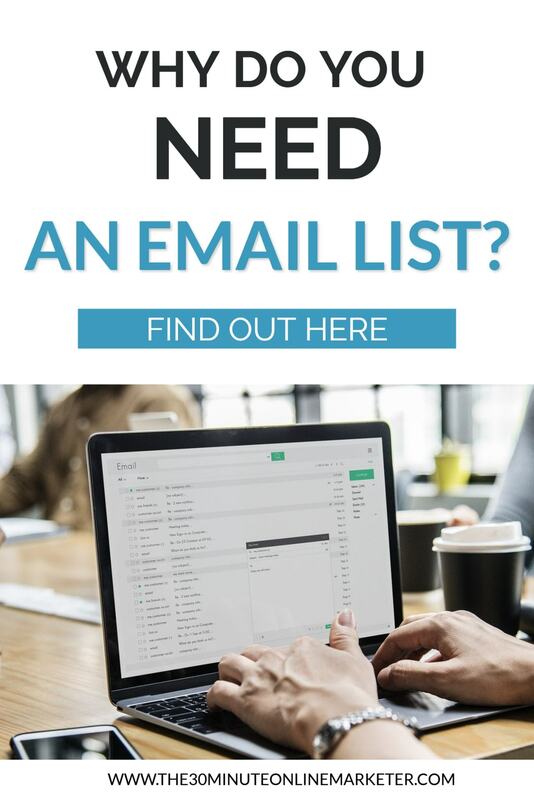 You shouldn't just be using your email list to send newsletters, sending tips and send the odd offer or have a big launch. 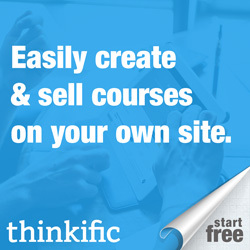 You should be using it to create passive income. So you can make money while you sleep. You can do this by creating evergreen email campaigns or autoresponders that promote affiliate products or sell your own products. Another example of this would be to set up a tripwire landing page that offers a discounted offer (usually something from $4.99 to $14.99) to EVERY subscriber that goes into your list but only for a very limited time. These tend to have a low conversion rate, but you can also send again this offer or a similar offer to the people that don't buy a couple of weeks later. For starters, you can learn what they want because you can ask them. For example, before you create a product, you can ask your email list what they want, so you don't waste time making it and then nobody buys it. And you can also ask for feedback or testimonials. You also learn a lot by looking at what messages they open or what links they click on. So your copy writing improves and you increase open and conversion rates. And this, in the end, makes you more money. 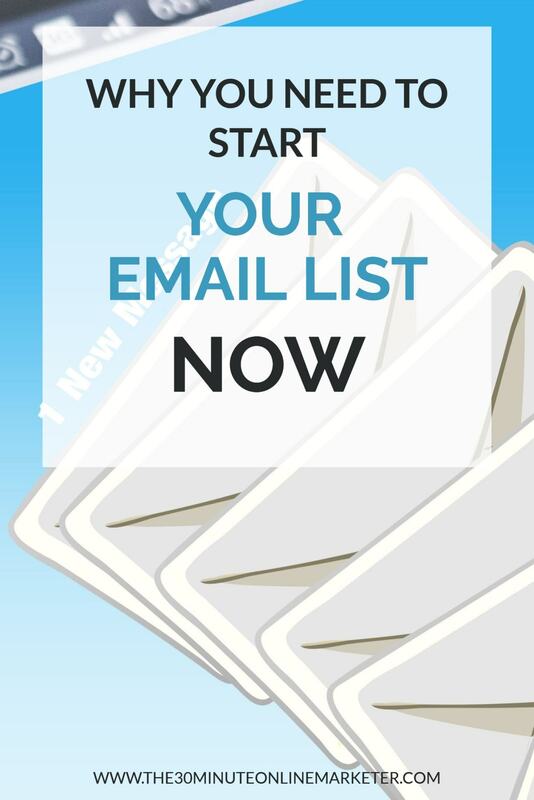 See now why your email list is crucial to your business? 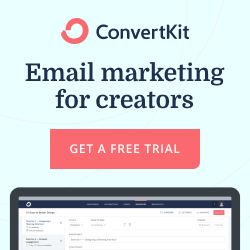 If you're ready to start growing your email list, why don't you give ConvertKit a try?